Traumatic events affect a far wider group than just those directly involved. We are all changed by these events. Life is what happens when you spend time planning and then all your carefully laid expectations suddenly fall apart. Trauma occurs when all that planning fails to represent the world: totally. It’s about experiencing not just the unexpected but the unanticipated, not just the unforeseen but the unimaginable! Twelve years ago, in 2005 it was terrorist bombs that rocked London. This year it’s been; Manchester Arena attack, Westminster Bridge, London Bridge and now the Grenfell Tower. And those are just the events in the UK. All disasters challenge our plans and our view of the world. Quite rightly we remember those directly affected by these event and similar events in other countries. There is, however, a wider group of people that also needs to be considered. These are the families, friends, colleagues, those in the emergency services and the bystanders. During and long after such events our understanding of ourselves and our own culture changes. The simple phrases “war on terror”, “terrorist attack” repeated so often increases our sense of vulnerability and influences how we treat each other and expected to be treated. And when homes are seen to be vulnerable then we are all potentially at risk. Many people will have heard the news of these events on their televisions, radios and through social media. The understanding of their world will have been radically changed through seeing the pictures that are sometimes in ‘real time’ ‘as it happens. Hearing the stories of the survivors, of the grief of the bereaved and trauma of the emergency services, this vast number of people will have been affected in ways that only weeks, months and sometimes years after will become noticeable. The immediate effects can mean that people act in very different ways compared to how they were before the trauma. They may prefer to be on their own for long periods of time and be depressed for the first time. You may notice that they show compulsive behaviours or become obsessed with specific objects or places or they may avoid certain places or ways of travel. They may also respond to otherwise small arguments with a ferocious intensity or to expressions of love with withdrawal and indifference. This is largely because of the fear of massive panic attacks that are very often brought about through flash backs – that uncontrollable experience of being back in the very experience they seek to avoid. This can also lead to a large helping of self-blame as they tell themselves that they ‘should be able to deal with this’, that they ‘should be much stronger’ and if only they ‘didn’t have to burden anyone else with their problems’. All these new responses mean that maintaining a meaningful relationship is placed under great stress for all those involved and the chances of making new ones almost impossible. Particularly in the case of the Grenfell Tower fire there is a deep anger amongst residents and those in the surrounding communities. This creates a bond between people in the short term that over time will loosen. This bond will probably also helpfully mask fear, anxiety and stress in the next few weeks and perhaps months. However, as the Grenfell fades from our news screens the underlying issues will surface and it is then that psychotherapy can be of best help. Six years after the events of 9/11 in New York, USA people began to arrive at medical centres with alcohol or drug problems that were traced back to the events of 9/11. Similar effects were seen after the London bombs of 2005. We already know that traumatic events such as the loss of a child can have long term negative physical and psychological effects. Those in the emergency services are not immune to these effects. Although there is help for them there is also the pressure to be ‘the hero’, always available and invulnerable to stress and trauma. There are many actions that can be taken to prepare for a known stressful experience or even trauma. I provide three simple steps as part of my Trauma Resilience Training steps that anyone can take. • Normalisation – being familiar with how our bodies respond under stress so that we can let go of self-blame, ‘the Hero shame’ and the fear that panic attacks will kill us or those close to us. • Breathing – simple physical and mindfulness techniques to re-set our physical stress and give us back a sense of control over ourselves. • Diffusing – talking to others who can provide a calmer perspective and help us ‘talk out’ our fears and concerns. Language and words create our emotions and being heard is vital to the healing process. I also teach some psychological visualisation techniques that help to reduce flash back events, prepare for events that might happen and enhance resilience through mental and physical calm. hyper vigilance, depression, anger, confusion. These are the obvious noticeable ‘ripple effects’, across communities and over many years, more are no doubt unnoticed; exclusions from school, people in long-term unemployment, people receiving long-term mental health care. We now need to acknowledge that, given these longer term ripple effects, we can and should intervene sooner to reduce the likelihood of trauma spreading by teaching and developing Resilience. Martin works as a UKCP registered Constructivist Psychotherapist, Supervisor and trainer, using Neuro Linguistic Psychotherapy, (NLPt). He is qualified to Master Practitioner standard in NLP and is an INLPTA certified NLP trainer. He holds a Postgraduate Certificate in the supervision of counsellors from the University of Birmingham. He provides psychotherapy, counselling, coaching and supervision to individuals and couples at his practice in West London and is involved in several psychotherapy / counselling and supervision training programmes. ​ In the early1980s Martin was a volunteer with the Terrence Higgins Trust. Taking the first call on the helpline he was instrumental in setting the foundations for the first response to the AIDS crisis. He developed support, advice and counselling services for those people who were affected and traumatised at the beginning of the crisis. ​ During an 11 year career in the NHS he piloted the Primary Health Care Team training development programme in the South West Thames region, as well as developing and implementing a Health Promotion Officer’s training programme. He has worked at senior manager level at Regional and District level and has been responsible for commissioning new services and leading on the development of drug and alcohol and sexual health services. ​ Between 2002 and 2004 Martin was the Vice Chair, then Chair, of the professional organisation that seeks to maintain standards and develop the skills of Neuro Linguistic Psychotherapists and Counsellors, the Neuro Linguistic Psychotherapy and Counselling Association, (NLPtCA). He is a past member of the Training, Education & Practice Committee of the United Kingdom Council for Psychotherapy and has helped in the re-shaping of its structure. ​ Martin provided psychological support, supervision and training to the staff and counsellors at the 7th July Assistance Centre. 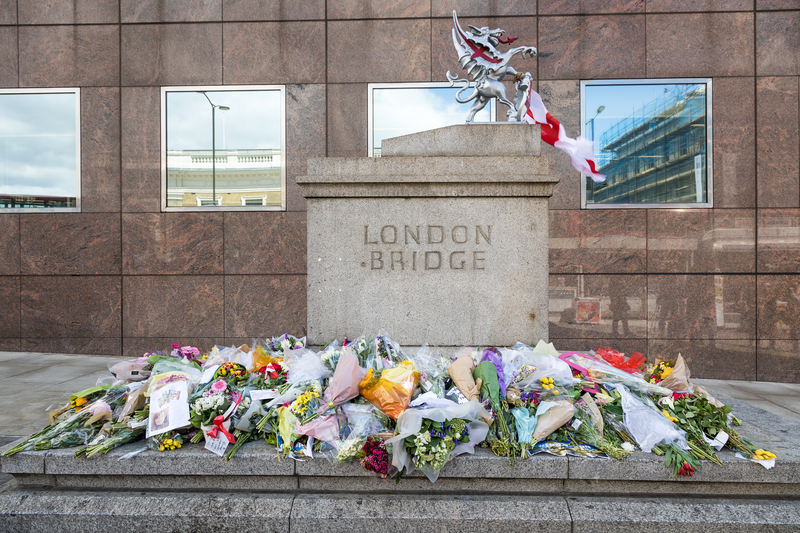 The centre provided psychotherapy, guidance and support to people who were affected by the London bombings in 2005, later taking on 16 further terrorist incidents and disasters. Building on his established training experience Martin created and delivered a series of workshops for the counsellors and support staff. From October 2010 to March 2011 he supervised the small team providing psychosocial support to the families and witnesses throughout the Coroner’s Inquests into the London Bombings. ​ From 2001 to 2011 he provided training, consultancy and supervision to the volunteer counsellors at Brent Bereavement Services & Bereavement Services for Hounslow. Currently he delivers courses for student psychotherapists to facilitate their UKCP accreditation.